Pura Suranadi is one of the temples can be found in Lombok, which offers more than just nice ancient buildings to see. The location of this temple is unique. This was built in the middle of tourism forest providing a nice and natural view. 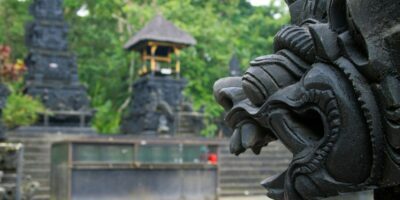 Pura Suranadi is one of the temples can be found in Lombok, which offers more than just nice ancient buildings to see. The location of this temple is unique. This was built in the middle of tourism forest providing a nice and natural view. Copyright © 2015 INDOTRAVELONLINE, Inc.